No Bunny loves you like NC SPIN this Easter. This week's program provides eggsactly the balanced debate you want on several important education topics, including the teacher shortage in our state and what can be done to put more teachers in our classrooms. We ask our panel to comment on the upcoming teacher rally to be held in Raleigh on May 1st and why the legislature dislikes NCAE. Next we move to the special elections that are coming in the 3rd and 9th Congressional districts and look at early voting, which candidates are gaining traction and our predictions on voter turnout. And, as always we ask the panel to tell us something we don't know. 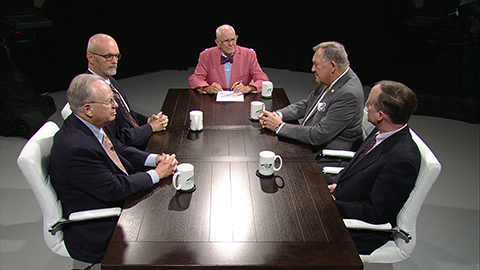 Our panel this week consists of Becki Gray, VP for the John Locke Foundation; former Senator and former chair of the State Board of Education, Howard Lee; columnist and author John Hood; and Chris Fitzsimon, Director of The Newsroom. Please join this special Easter edition of NC SPIN.